I don’t know what the weather has been like near you, but we have had quite a few days that have been unseasonably warm and spring-like. For a year that has been filled with a lot of uncertainty and depression and a winter that has left everyone sick for weeks or months at a time, this little break to warmer weather surely seemed to improve everyone’s moods. People were out and walking around my neighborhood, grinning as they passed each other. People at red lights sang along to music with their windows down and damn near everyone I talked to seemed to be giddy at the prospect of an early spring. It’s time for #FillTheCookieJar again and the theme for March is green/spring, which I decided to really play into by making these green colored lime bars that are light and delicious and remind me of spring. Fill the Cookie Jar is a monthly blogging event where bakers come together and share cookie (or bar) recipes based on a theme. Our host is Cynthia of Feeding Big. 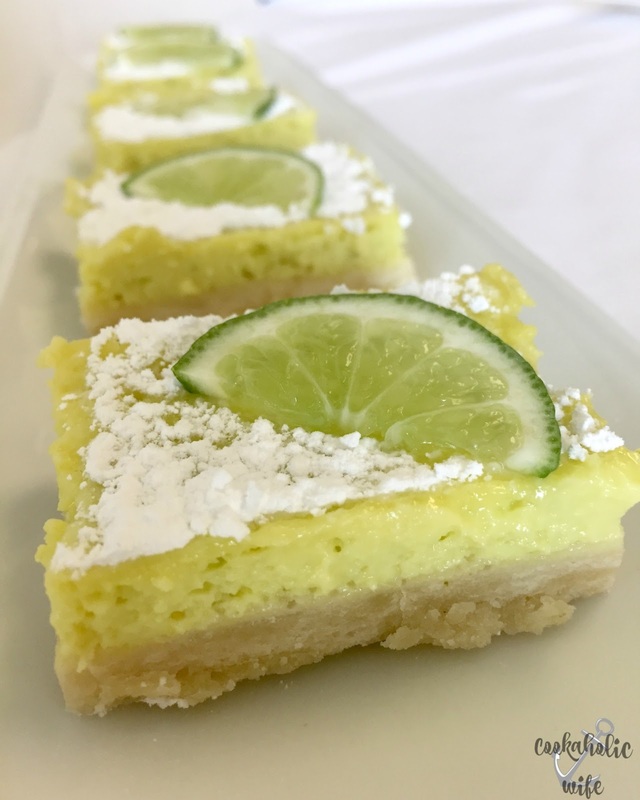 Similar to a key lime pie, these lime bars are easy to make and are the perfect balance of sweet and citrus. 1. Preheat the oven to 350 degrees. Cut a piece of parchment paper to fit in the bottom of a 9×13 baking dish with an inch of overhang on two ends. 2. In the bowl of your mixer, combine flour, butter, powdered sugar and yogurt until crumbly. Press into the bottom of the prepared baking dish. 4. In the bowl of your mixer, beat sweetened condensed milk and eggs until fluffy, then add in the lime juice, flour, baking powder, salt, zest and food coloring. 5. Pour over the cooled crust and bake for another 20-25 minutes or until the filling is set and the crust is a light golden brown. 6. Allow to cool to room temperature, then refrigerate 1-2 hours until the filling is fully set. 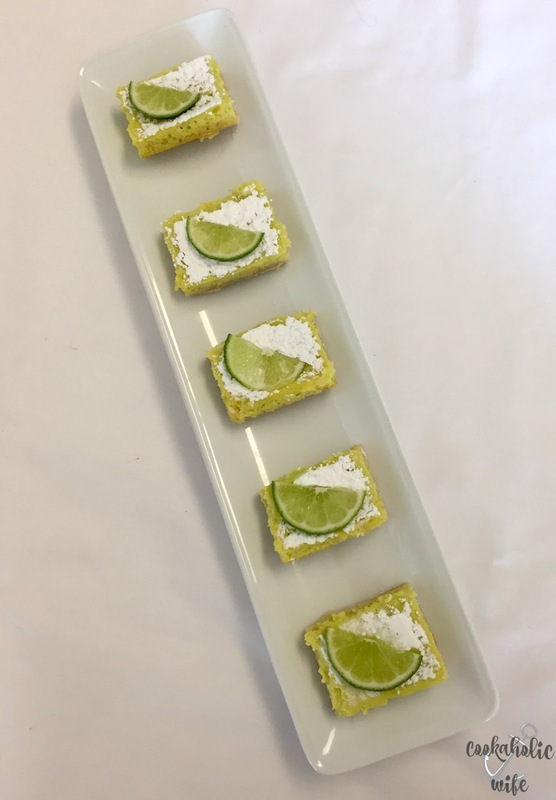 Lift out the bars with the overhang parchment paper and cut into 16 squares. Sprinkle powdered sugar on top and serve. This recipe needs to chill in the fridge for 1-2 hours before slicing and serving. 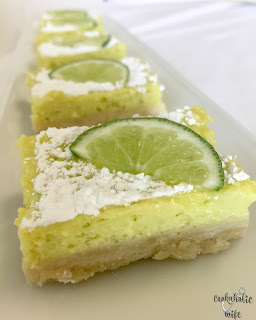 Lime is a fruit that I definitely find being underused in recipes. 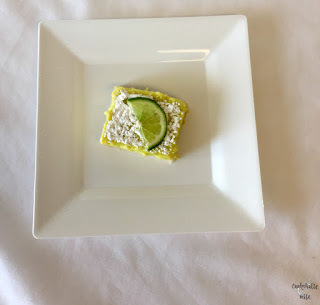 I rarely ever bake with them and if you are like me, these bars might just change your mind. Perfectly sweet and tart with a crumbly crust, these lime bars will have your taste buds singing! 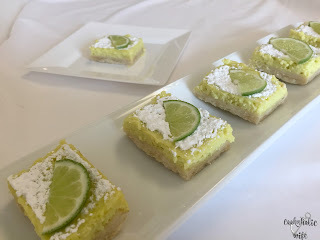 These sound so good.. love lime and it is perfect to make for spring or anytime.. So perfect!!! I love these!